Cambodia’s parliament is reviewing a five-year ban on more than 100 members of the main opposition party, which could allow them to return to politics, following threats by the European Union to deny duty-free trading access to the Southeast Asian nation. 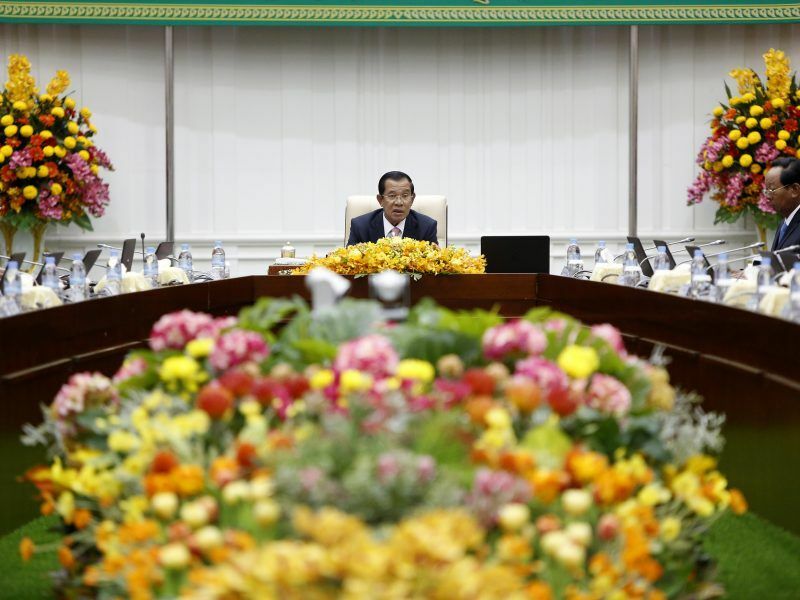 Cambodia’s Prime Minister Hun Sen has taken a defiant stance following a European Union announcement last week that it would ramp up trade pressure on Cambodia over human rights concerns. “To further promote democracy and the rule of law, the National Assembly is reviewing legal provisions to enable individuals who were banned from politics to resume political activities,” Cambodia’s foreign ministry said on Monday (3 December). The crackdown on opposition also coincided with increasing pressure from Hun Sen and his allies on Cambodia’s independent media ahead of the July vote. 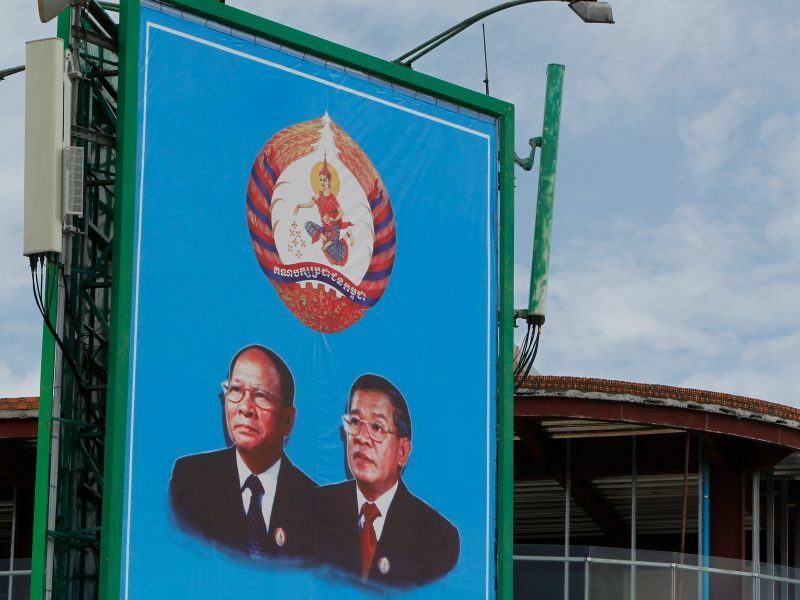 Cambodia’s ruling party said it had won a landslide in Sunday’s one-horse election, an expected outcome after the main opposition was banned paving the way for leader Hun Sen to prolong his 33 years in power. Washington-based Radio Free Asia (RFA) shut its Phnom Penh office in September, complaining of a “relentless crackdown on independent voices”. Cambodian radio stations were banned from broadcasting US-government backed Voice of America (VOA). 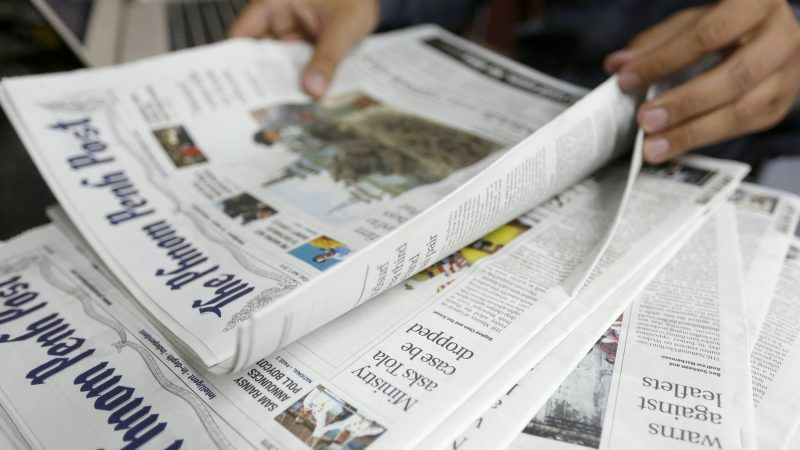 The government “always cherishes promotion of freedom of press and freedom of expression”, the Foreign Ministry added in Monday’s statement, saying the RFA and Voice of America were free to reopen their offices in Cambodia. Cambodia should “allow both RFA and VOA programmes to once again be broadcast freely on Cambodian radio stations, consistent with the government’s stated commitment to a free press,” US Embassy spokeswoman Emily Zeeberg said in a statement on Tuesday.